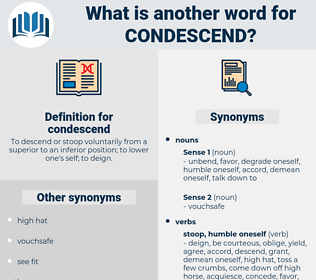 What is another word for condescend? disobey, withhold, contradict, veto, refuse, deny, disapprove, resist, disagree, protest, fight, prevent, reject, oppose, rise above, disallow, dispute, hinder, decline, dissent. He was therefore obliged to condescend to the arts of persuasion. 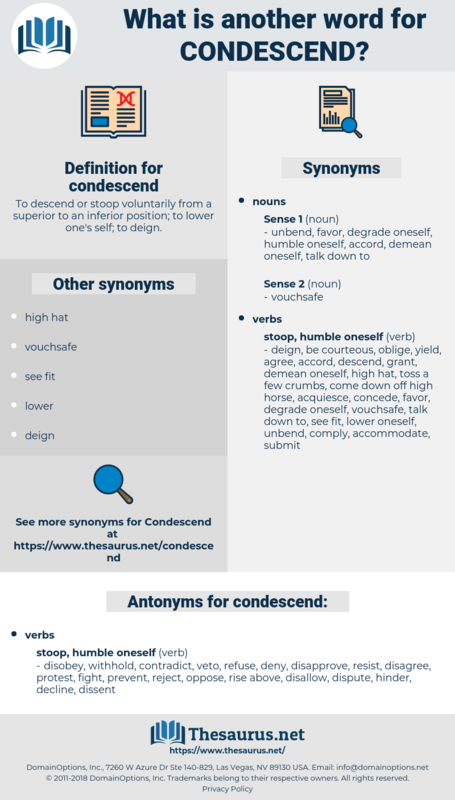 If your heart cannot condescend to that, I pray you renounce them wholly, and ye shall find more exquisite and sure pleasures in godliness, at his right hand.